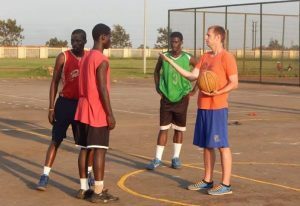 Brian McCormick has conducted basketball clinics around the world over the last two decades and has presented at basketball clinics, strength and conditioning conferences, coaching conferences, and sports psychology conferences. 180 Shooter clinics focus on shooting. Clinics can be as short as two hours and as long as 2-3 days. The content differs based on the participants and the duration, but is based on the book (180 Shooter) and the five steps to shooting 180%. 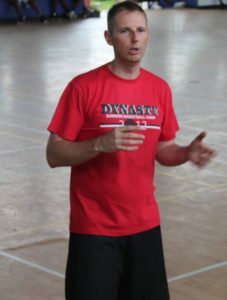 McCormick has a PhD in Exercise and Sports Science, has worked as a college strength & conditioning coach, and wrote his dissertation on plyometrics and lateral movement. 180 Athletic Development clinics focus on basketball developments, starting with foundational movements such as running, jumping, landing, and stopping and processing to basketball specific movements such as hockey stop, crossover steps, hip turns and more. Depending on facility availability, the coach, and the athletes, McCormick also tests athletes, teaches basic resistance training exercises, and writes annual plans for athletes and teams. The longest running clinics, the Hard2Guard clinics are based on individual skills. Clinics can be divided into perimeter and post or combined into one group, depending on the group. Clinics typically run 3 hours per session and emphasize individual skills such as creating space, finishing, effective use of the dribble, moves off the catch, and some shooting. The Playmakers clinic emphasizes tactical skill development and focuses on decision making with and without the ball. 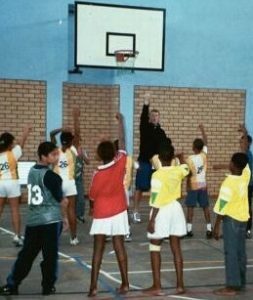 Players play in the half-court and full-court, and instruction focuses on spacing, disorganizing the defense, using and setting screens, getting open, shot creation, and more.